Clover-Denim Sewing Machine Needles. 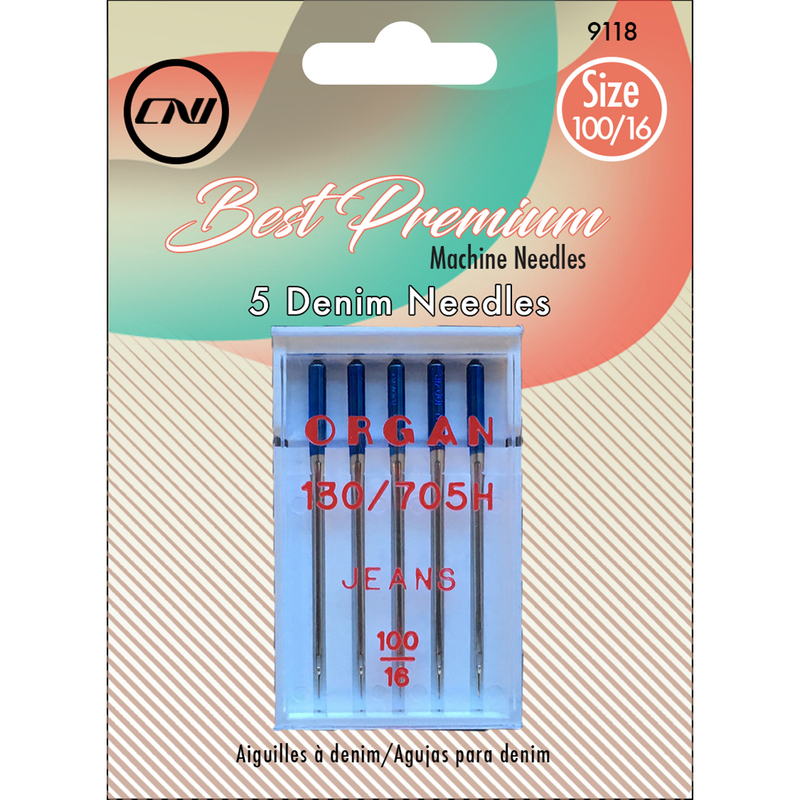 The Denim Needle Has A Very Sharp, Acute Point With A Slender Eye And A Strong Shaft. The Sharp Point Is Necessary To Penetrate Heavy Fabrics Like Denim And Canvas. The Slender Eye Holds The Thread In Place For Proper Loop Formation. The Strong Shaft Prevents Deflection Of The Needle And Insures Accurate Needle Placement For Stitch Formation. This Package Contains Five Size 100/16 Needles. Imported.